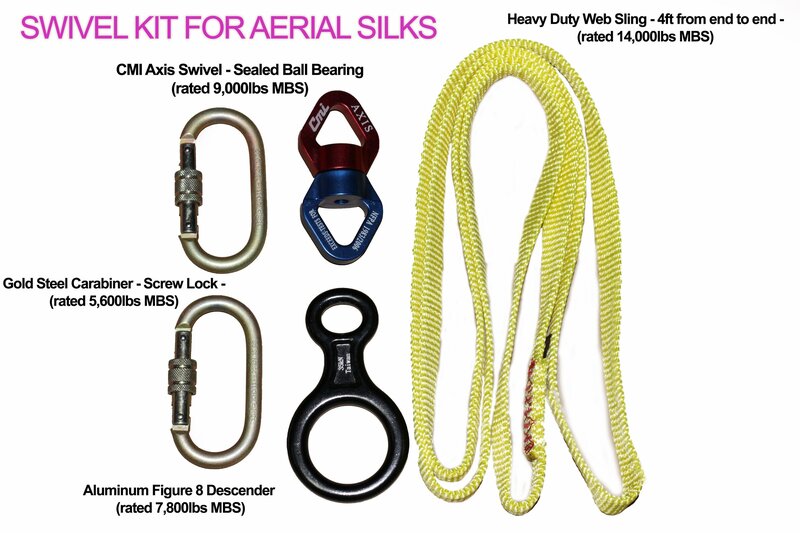 -Fabric is 40 Denier Nylon Tricot and has been break tested and approved for aerial use! 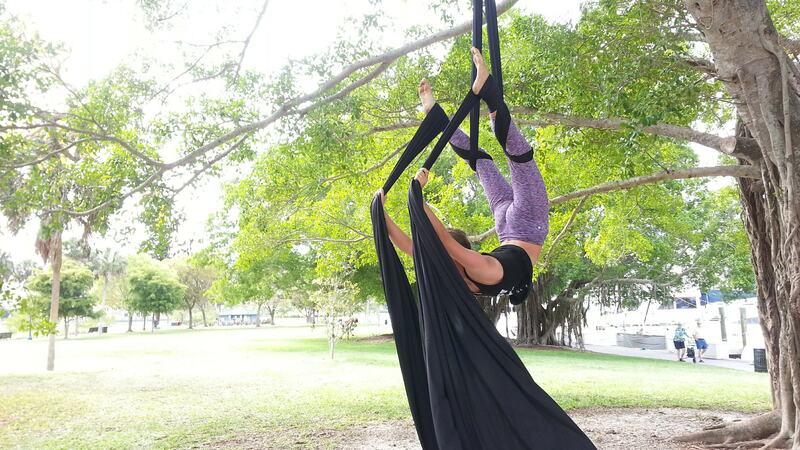 (tested by Brett Copes with Fight or Flight Entertainment) The fabric is commonly known as low-medium stretch, is used widely for aerial yoga and loved by both beginner and professional aerialists! Fabric is 108" inches wide but can be stripped to a smaller width with sharp fabric scissors! 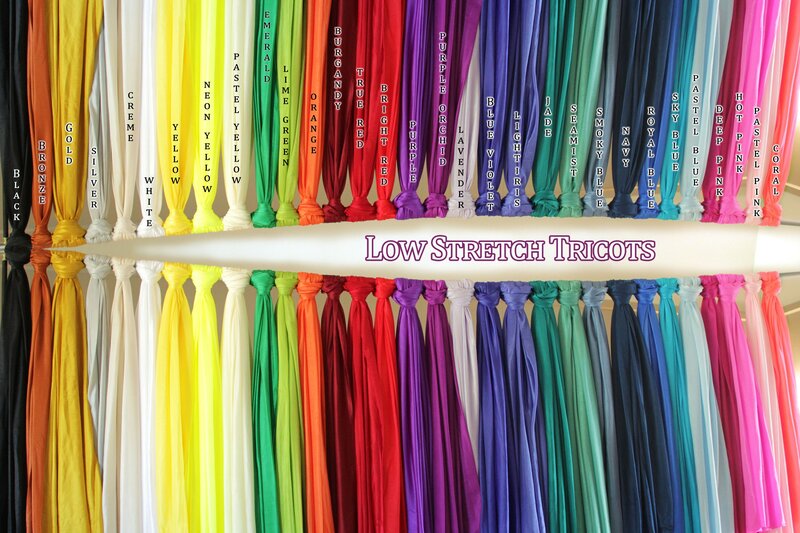 -Over 25 colors of industry standard 40 denier nylon tricot fabric! This a medium-low stretch fabric. -This is the exact same setup I use in shows and performances! ***Remember your safety on where you rig is your responsibility! Not only was she quick to respond but the entire time I was deciding on colors she helped me out with some ideas and spent her time really making sure I was able to get exactly what I wanted!! Awesome! As an professional artist, she gave wonderful recommendations and ultimately helped me in a very hard decision. I received my silk way sooner than I expected & was SO HAPPY to open it and see how beautifully braided it was inside the package. 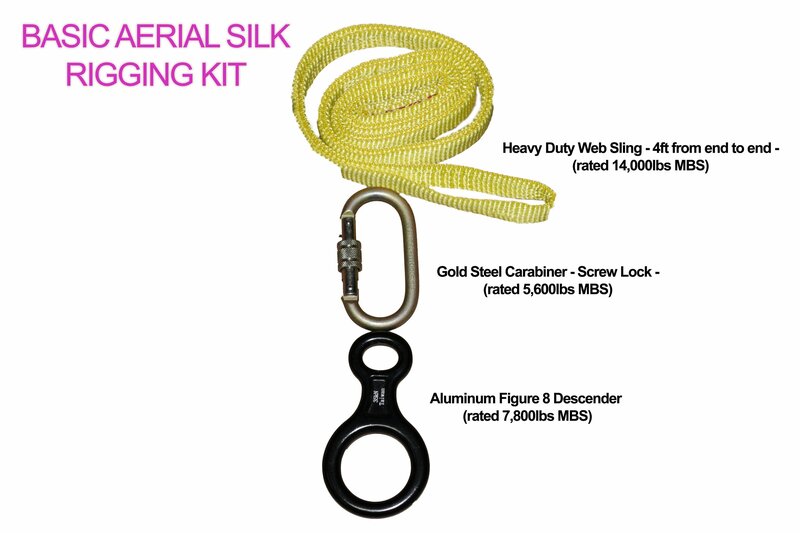 I purchased the entire swivel package with 13 yards of fabric. She set everything up for me and it was ready to fly right out of the box! How cool! My fabric was clean, shiny and very well packaged. My experience with SarasotaWarrior shop was perfect in every way! EXTREMELY SATISFIED. HIGHLY RECCOMENDED. QUALITY. FRIENDLY. I LOVE how my silks turned out! ! They're the most beautiful shade of burgendy and I couldn't be happier! 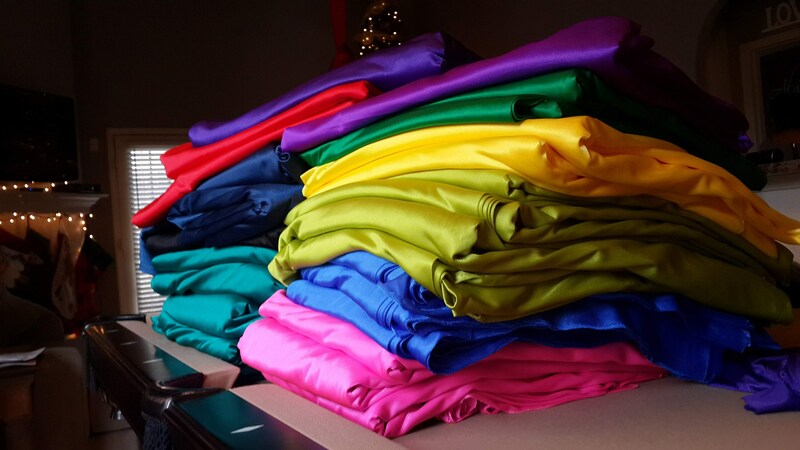 You're so good at what you do, from creating such beautiful silks down to your customer service! It only let me rate you 5/5, but I give you a solid 10/5! 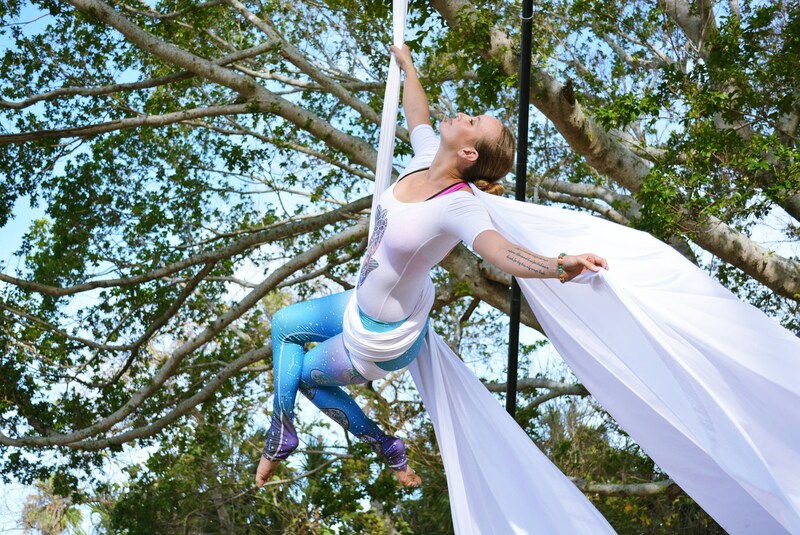 Custom tie dye ombré aerial silks/hammock- reds/yellows/pinks. Like a sunset. She kept me updated on the status the entire process. She was not happy with the way it turned out at first and gave me options of what I liked the best. They were all beautiful but the version that I received is perfect! Havent rigged it up yet but am very excited to ..looks beautiful! Came very quickly after being marked shipped ..was so excited when opening the box! Thanks!